What a joyous day. Friday is here again! Weekends off are always welcome. It's nice to have a moment to recuperate at the end of a hectic, whirlwind of a week. I'm excited to head to KAABOO for the second year in a row. You can read about it below along with the other four things I'm loving right now! Can we all just take a moment to appreciate how adorable this little avocado is? Isn't it precious?! It didn't taste as good as I had hoped. I probably should've waited a couple more days for it to ripen a bit more. At least the photos last longer than the taste in my mouth! If you're reading this right now, there's a good chance I'm at KAABOO, a three day festival based in Del Mar. I'm excited to get a good dose of music (& comedy) because my last festival was Coachella in April. I'm excited to see Aerosmith, Lenny Kravitz, Rooney, Sarah Silverman, & a few others. I bought 50 gel pens a few weeks ago & have absolutely no regrets. Not only are they a blast from the past but they make me want to write anything & everything down so I can try all the colors. They also inspire me to doodle. Fred & I went to a Lebanese restaurant for lunch & ordered manoushe zaatar as an appetizer. It's essentially Lebanese flatbread or pita bread topped with thyme, sumac, toasted sesame seeds, sea salt, & olive oil. Neither of us had ever had it before, but we were both blown away. Since Fred & I finished watching Alias last week, we've opted for films instead. We saw a documentary called Holy Hell about an ex-cult member in California. He opens up about his past, showing actual video footage from his years in the cult. Other former members talk about their experience. After 20 years in the organization, most weren't even aware they were in a cult. Super interesting film. ooooh have fun at the festival beauty! I also love Gel pens!!! I am super interested in cults (I was a Psych major!) so that sounds like a doc I might have to check out! I had an avocado for lunch this week, but it was rotten! How rude. That pita bread concoction looks interesting. I've never had some of the ingredients, so I'm not sure that I'd like it, but I need to step out of my comfort zone. I've never had Lebanese food! ZAATAR!!! I'm Lebanese actually! So it's really exciting to see this on someone's favorites list! You can actually buy the zaatar spice blend (or make it yourself if you can find everything) and then mix in sumac until you find a tanginess level that you like! Also, gel pens are the best. Definitely no regrets! Mmmmmm! 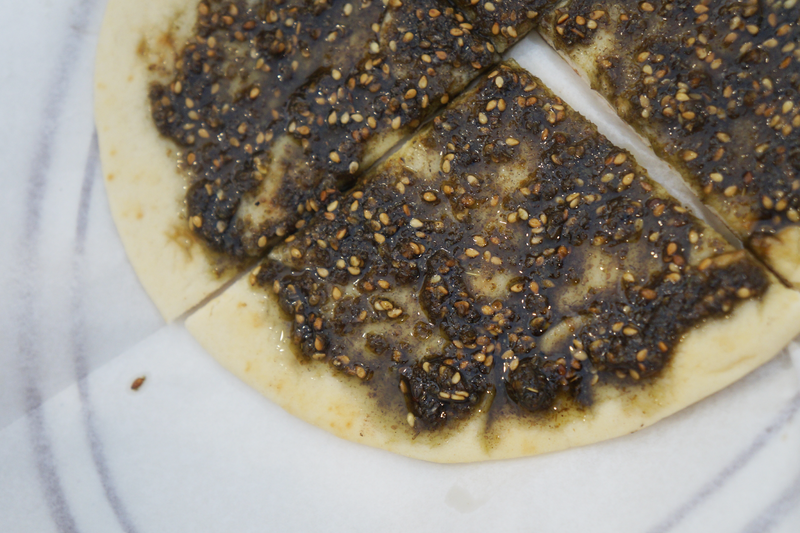 Zaatar! One of my faves! And I've heard about Holy Hell...sounds so fascinating! Have a great weekend and enjoy KAABOO! I tried watching Holy Hell but my dog growled every time the cult leader came on screen. I had to turn it off because she was so upset. Hope you have fun at KAABOO! That dish sounds so good! Too bad I already forgot the name hehe, but this made me realize I have never tried Lebanese food! 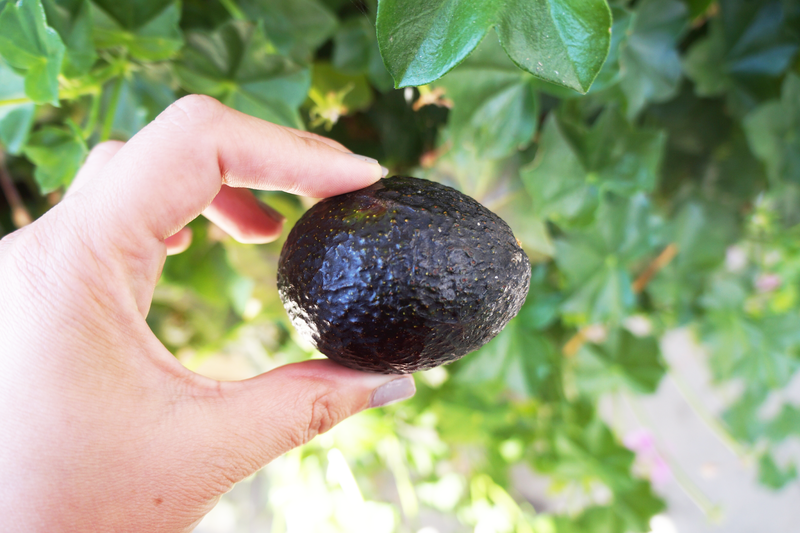 Btw did you just find that avocado next to all the normal avocados at the grocery store?! I have been eating avocados like crazy, I eat them with everything, toast, salad, sandwich etc! They are so nutritious and so delicious! 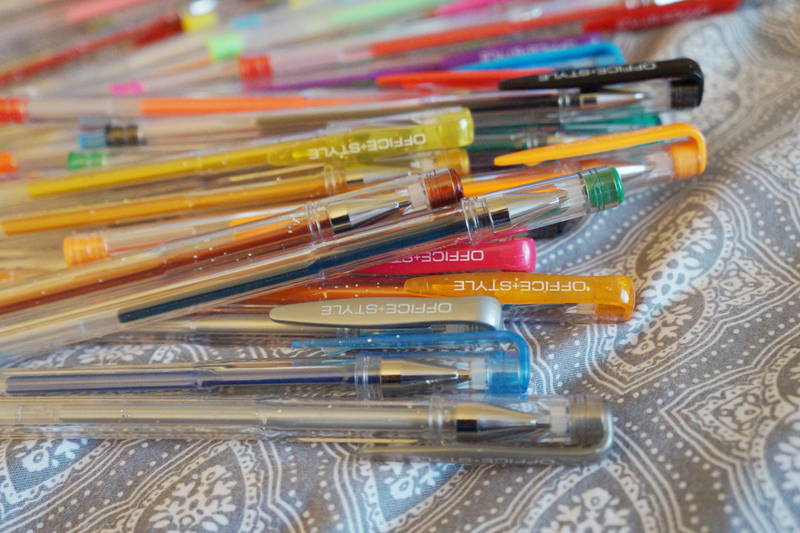 I love Gel pens too ^^ Rather special things you like, but very interesting. That documentary sounds awesome - can't wait to check it out! Have fun at the music fest!! What a lovely tiny avocado! Glad your weekend was that good, hope your week is better! The documentary was amazing, & as a psych major you'll really appreciate it. They legitimately had no idea they were in a cult. I wouldn't doubt it. Dogs are smart like that. Cultural cousins! I love all the ingredients that we share! I had no clue sumac is used in Persian cooking too! Couldn't agree more about the avocado!! I was just in Del Mar a few weeks ago visiting friends and I love it there!! Makes me think of hiking Torrey Pines and looking out over the ocean :) Have the best time!! Omg that tiny avocado is so cute! And I'm totally obsessed with gel pens and love that you bought 50!